It is important to wait until the appointed moment to release the news, we believe. Here, word for word, is Porsche’s press release. Follow up material to come. ATLANTA - December 18: Dyson Racing, located in Poughkeepsie, New York, with Porsche Motorsports roots going back to the mid '80s, will race two 2007 Porsche RS Spyder prototypes in the upcoming American Le Mans Series season. The team, which has been a force in the American Le Mans Series since the series started in 1999 and a winner of two ALMS championships, is also a veteran Porsche squad dating back to the early days of the Porsche 962. From 1985 until the end of 1991, Dyson Racing Porsche 962s scored 10 overall wins in the IMSA Camel GT series and the team's drivers took home four Porsche Cup North America trophies awarded to North America's top non-factory Porsche driver. 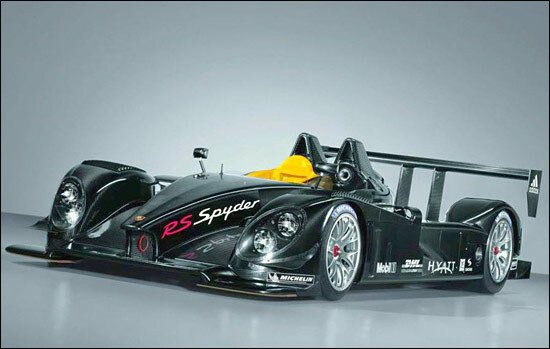 Hartmut Kristen, head of Porsche Motorsport worldwide, was pleased that a private team of Dyson's caliber has decided to embrace the RS Spyder program. "When we announced our ALMS participation in Atlanta in April 2005, it was our target to have the RS Spyder being raced by customer teams in 2007. So having the Dyson team as a customer is exactly what we were going for. We will continue our development work together with the Penske Motorsports team and we are going to do all the testing with them. The results of this work and the new developments will be made available to our customer teams as well. This is a very clear arrangement. The RS Spyders for Penske and Dyson are exactly the same 2007 models, and the engines we are providing to the teams are identical as well," said Kristen, who indicated that Porsche will provide a factory race engine engineer and a Porsche RS Spyder race engineer to the Dyson team. Dyson Racing had previously announced their drivers for the 2007 season - Chris Dyson, Butch Leitzinger, Andy Wallace and Guy Smith, with an additional announcement still to come on the team's extra drivers for the opening 12-hour event at Sebring. Dyson expects to take delivery of one car in time for the ALMS winter test at Sebring in late January, with the second car due to arrive in February. "We are thrilled with this new partnership. The Porsche factory, the development engineers at testing, and the technical staff at the track will all be supporting our efforts. We look forward to competing against Penske Motorsports, but we know they are development partners, as well. This is a very nice step in our team's evolution, and returning to Porsche feels like coming home," said Chris Dyson.